Chinese Medicine Demystified (Part III): The “Energy Meridian” Model Debunked By Chris Kresser L.Ac. As it turns out, de Morant wasn’t too far off. Energy is an abstract concept that means “in work”. It can’t be circulated in the blood. 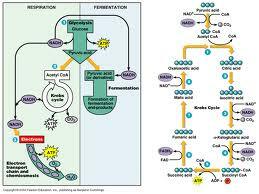 However, the potential for energy, in the form of oxygen and glucose, is transported through the cardiovascular system. 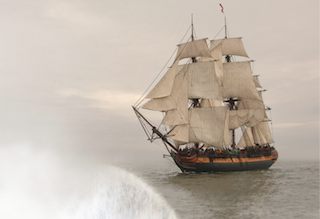 Chinese Medicine Demystified (Part II): Origins of the “Energy Meridian” Myth. By Chris Kresser L.Ac. These textbooks teach that qi is an energy that moves through your body in meridians. A meridian is a metaphysical line “juxtaposed” on the body. It has no actual location inside of the body. In other words, it’s not really there. According to these textbooks this mysterious energy called qi flowing through these nonexistent lines called meridians forms the conceptual basis of Chinese medicine. 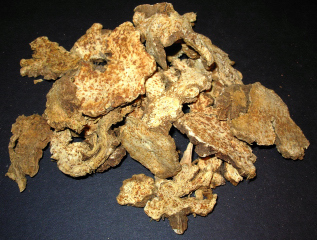 Chinese Medicine Demystified (Part I): A Case of Mistaken Identity By Chris Kresser L.Ac. Please enjoy the best series of articles I’ve found about Acupuncture and Chinese Medicine. Written by Chris Kresser of http://www.thehealthyskeptic.org. In this well written series Chris explains why Acupuncture and Chinese Medicine are so misunderstood (even by many acupuncturists), and how this misunderstanding marginalizes the practice as viable health care treatment that has every rightful place in modern medical care. I hope you enjoy this series as much as I have. In fact, I’m about to read it again. I’m sure you’re at least somewhat familiar with Chinese medicine and acupuncture by now. It’s received a lot of media coverage over the last decade, and insurance companies are now covering it in many states. But even though an increasing number of people are using acupuncture to address their health problems, most still don’t understand how Chinese medicine works. What if I told you that nearly everything we’ve been taught in the West about how Chinese medicine works isn’t accurate? What if I told you that Chinese medicine isn’t a woo-woo, esoteric “energy medicine” at all, but instead a functional, “flesh and bones” medicine based on the same basic physiology as western medicine? And what if I told you I could explain the mechanisms of Chinese medicine in simple, familiar terms that any eight year-old could understand and even the most skeptical, conservative doctor couldn’t argue with? Here’s the thing. The “energy meridian” model that has become the default explanation of Chinese medicine US is not only out of sync with our modern, scientific understanding of the body – it’s also completely inconsistent with classical Chinese medical theory. In other words, we’ve made up our own western version of Chinese medicine that has little to do with how it was understood and practiced since it began more than 3,000 years ago in China. This gross mischaracterization has kept Chinese medicine on the fringes of conventional medical care since the 1930s and 1940s. Most doctors and patients have simply been unable to accept the explanation they’ve been offered for how acupuncture works. The result is that acupuncture has come to be seen as either a mystical, psychic medicine or a foofy, relaxing spa-type treatment. And that’s a big shame. Because Chinese medicine is in fact a complete system of medicine that has successfully treated many common health conditions for more than 2,500 years. 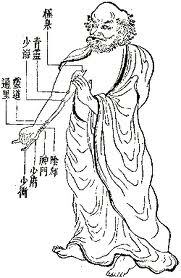 Chinese medicine was passed through the ages in an unbroken lineage of some of the best minds of China. It was used by emperors and the royal courts to help them live into their 90s and stay fertile into their 80s at a time when the average life expectancy in the west was 30 years. 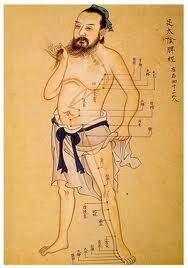 Chinese medicine has been around for a very, very long time. The first evidence of the type of medicine that led to the Chinese Medicine in use today dates back to about 6,000 BC, which was during the neolithic (new stone age) period. Stone tools from this period have been found that were specially shaped for making small incisions in the skin, which was the early form of acupuncture. That’s 8,000 years of uninterrupted use. To put this in perspective, western medicine as we’ve come to recognize it today wasn’t even invented until the 1350s (the middle ages), which makes it less than 700 years old. Ah hem. Let me ask you this. Do you think Chinese medicine would have survived for more than 3,000 years and spread to every corner of the globe if it wasn’t a powerful, complete system of medicine? The reason Chinese medicine isn’t more popular in the west is that it’s completely misunderstood even by the people who practice it. And as long as acupuncturists continue to promote the “energy meridian” model as the explanation for how Chinese works, it’s destined to remain a fringe alternative modality. Your body is virtually defenseless against a dependency on carbohydrates—the substances that really make you fat—and it’s time for an intervention. I’m sitting in a comfortable chair, in a tastefully lit, cheerfully decorated drug den, watching a steady line of people approach their dealer. After scoring, they shuffle off to their tables to quietly indulge in what for some could become (if it hasn’t already) an addiction that screws up their lives. It’s likely you have friends and family members who are suffering from this dependence—and you may be on the same path yourself. But this addiction is not usually apparent to the casual observer. It has no use for the drama and the carnage you associate with cocaine and alcohol. It’s slower to show its hand, more socially acceptable—and way more insidious. I’m in a Panera Bread outlet. The company is on Fortune‘s 2010 list of the 100 Fastest Growing Companies and earned more than $1.3 billion in 2009, mainly from selling flour and sugar by the railcar. Last year, Zagat named it the most popular large chain in the United States and ranked it second in the Healthy Options category. The company responded by touting its “wholesome” food. Sure, Panera sells a few salads. But why do the scones, pastries, baguettes, and bear claws get all the good lighting? Why are the grab-and-go packs of cookies and brownies next to the register? What need is fulfilled by serving soup bowls made of bread, with a mound of bread for dipping, and then offering more bread on the side? How come it’s noon and the couple behind me are eating bagels while the guy to my right is sawing into a cinnamon roll with a fork and a knife like it’s a steak? The answer is that fast-burning carbohydrates—just like cocaine—give you a rush. As with blow, this rush can lead to cravings in your brain and intrusive thoughts when you go too long without a fix. But unlike cocaine, this stuff does more than rewire your neurological system. It will short-circuit your body. Your metabolism normally stockpiles energy so you can use it as fuel later. A diet flush with carbohydrates will reprogram your metabolism, locking your food away as unburnable fat. When you get hungry again you won’t crave anything but more of the same food that started you down the path to dependency. Think of this stuff as more than a drug—it’s like a metabolic parasite, taking over your body and feeding itself. You aren’t supposed to talk this way about carbohydrates. According to USDA dietary recommendations, they are not only healthy but are supposed to make up the majority of the food we eat—45 to 65 percent of all calories. Carbs, which are classified as starches and sugars, make up the essence of bread, cereal, corn, potatoes, cookies, pasta, fruit, juice, candy, beer, and sweetened drinks—basically anything that isn’t protein or fat. Our government’s recommendations were established in the 1970s and have since been accompanied by an explosion of obesity and diabetes. The advice came about as early nutrition scientists rallied around a misguided maxim that remains embedded in the fabric of our attitudes toward food to this day: Eating too much fat makes you fat. But science never bore out this pre-Galilean view of nutrition. What is now clear is this: At the center of the obesity universe lie carbohydrates, not fat. “You could live your whole life and never eat a single carbohydrate—other than what you get from mother’s milk and the tiny amount that comes naturally in meat—and probably be just fine,” says Gary Taubes, the award-winning author of Good Calories, Bad Calories, which is helping to reshape the conversation about what makes the American diet so fattening. You wouldn’t know it from reading the latest dietary headlines, but all of the popular diets—from Atkins to Dean Ornish (Bill Clinton’s weight-loss plan) to the diet-of-the-moment, Paleo—are successful because the most important change they advise is the same: stop eating refined carbohydrates. This only reminds us of what had been the conventional wisdom in medicine for hundreds of years before the USDA stepped in: that sugar, flour, potatoes, and rice are what make a person fat, not meat and milk. Forty years into the low-fat, high-carbohydrate way of eating—we can thank it for “diabesity,” shorthand for the societal prevalence of type II diabetes paired with obesity—it seems clearer than ever that our problem lies not simply in carbohydrates, but in their fundamental addictiveness. They sidestep our defenses against overeating, activate brain pathways for pleasure, and make us simultaneously fat and malnourished. They keep us coming back for more, even as they induce physical decline and social rejection. They achieve this more effectively than the controlled substances that can get a guy thrown into jail. Maybe the question isn’t whether carbohydrates are addictive, but whether they are the most addictive substance of all. In 2007, researchers at the University of Bordeaux, France, reported that when rats were allowed to choose between a calorie-free sweetener and intravenous cocaine, 94 percent preferred the sugar substitute. The researchers concluded that “intense sweetness can surpass cocaine reward. . . . The supranormal stimulation of these receptors by sugar-rich diets, such as those now widely available in modern societies, would generate a supranormal reward signal in the brain, with the potential to override self-control mechanisms and thus to lead to addiction.” Nicole Avena, an expert in behavioral neuroscience at the University of Florida in Gainesville, has spent many hours analyzing the behavior of rats enticed into sucking up sugar. She says that feeding on sugar can, like snorting coke, lead to bingeing, withdrawal, and craving. It does this by lighting up the same circuitry within the brain triggered by cocaine and amphetamines, the dopamine center. But a carbohydrate addiction is potentially more destructive than an 8-ball-a-day habit, because it hijacks your metabolism. If you eat a low-carb diet, you are able to remain satiated between meals, because the body will burn its fat stores. But eating carbs, especially refined varieties like sugar or flour, sweetened drinks, or starches, causes the body to release the hormone insulin. The body secretes insulin as a response to high blood sugar—a serious, even potentially lethal health risk over time. The hormone directs cells to extract sugar from the blood and store it as fat, and what’s worse, in order to get sugar out of the blood as efficiently as possible, insulin makes it extremely difficult for the body to burn its fat stores. Over time, the presence of insulin in our carb-heavy diet causes diminishing returns. As our cells become resistant to the effects of insulin, our bodies frequently release even more of it to compensate. The result is a blood-sugar vacuum: The body craves more of what the hormone feeds on and triggers our hunger mechanism, which works subconsciously, to direct us toward the nutrient causing all the problems in the first place—carbohydrates. You get fatter and your body craves even more carbs in order to maintain your increasing weight. Drug cartels can only dream of a narcotic with an addiction cycle this powerful. Once hooked, can you quit your carb addiction? It’s not like there’s a carb-cessation program at Promises, after all. Taubes says it won’t be easy, but given the alternatives, you simply have to try. And cold turkey is as good a method as any. “Anecdotal evidence suggests that the craving for carbs will go away after a while,” he says, “although whether a while is a few weeks or a few years is hard to say.” And frighteningly like an addict in recovery, you’re unlikely ever to be totally cured, and you’ll always be tempted to relapse when the opportunity arises. Be warned: The number of Panera Bread outlets is 1,421 and counting. 5. Insulin resistance means your body pumps out more insulin to make up for the deficit. Now you’re getting fat, but what’s worse is that your body desires even more carbs as fodder for the excess insulin. 6. You get fatter and fatter and your body craves more carbs to feed your increasing girth. This destructive cycle is why Americans are so overweight (the process doesn’t happen overnight). “I am very aggressive in the treatment of high blood pressure using drugs, using pills,” he says. “There is an extensive literature from Asian and Russian communities that acupuncture does indeed lower blood pressure,” he says. “There’s evidence from our laboratory and many other laboratories to suggest that the cells quiet down after acupuncture,” says Dr. John Longhurst professor of medicine at the University of California, Irvine. 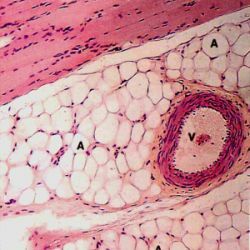 When those cells “quiet down,” or become less active, blood vessels relax. “A substantial number of our patients have responded with significant reductions in blood pressure,” he says. 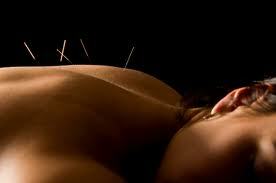 Perhaps most amazing, acupuncture’s benefit can be long lasting. Some patients who received the acupuncture treatment nine months ago still have normal blood pressure. 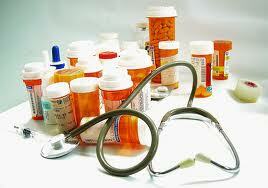 In this case, the doctors defined “cure” as maintaining normal blood pressure for one year without medication. And that, for some patients, may now be within their reach. GIVING OUT BAD ADVICE? Why Natural Health Care Practitioners Need To Be Careful About Recommending Restricting Dairy Products. It is difficult to find a natural health care practitioner these days who doesn’t recommend to most or even all people that they restrict or avoid “dairy” (usually in the conjunctive phrase: “dairy and wheat”). It is claimed that dairy products are bad for health for a number of reasons: producing phlegm, being allergenic, being hard to digest, or that their nutrients are not absorbed due to pasteurization or other processing. What is the source of this dietary information and to what extent is it valid? Has anyone bothered to challenge the claims or the value of this advice? In 1975, I attended a natural health care symposium in Vancouver, B.C. in which leaders in the field were featured, including Dr. John Christopher (famous herbalist from Utah) and Dr. Bernard Jensen (well-known alternative medicine specialist from California). I recall to this day Dr. Christopher mocking those who consumed milk products; with his clever wording, he got us to envision bulky college football players and think of them as looking like cows, which he attributed to their overconsumption of dairy products. There was laughter and knowing shaking of heads in affirmation. He didn’t bother citing any studies or scientific explanations, just used this imagery. Because I was assisting with the conference logistics, I had the chance to see Dr. Christopher a second time. He gave the exact same talk, with the exact same punch lines, and with audience appreciation elicited in the same manner. The first time I heard the talk I had been somewhat swayed by his presentation; the second time, I became skeptical. I had gained some insights from his and other talks at that conference (such as one about applied kinesiology) into the way in which alternative health care information is propagated. Since that time, I have read numerous books and articles on natural health care, and the proclamations against dairy products have not been much more convincing than his. There are references to incorrect models of how the body works, to studies that were so poorly conducted as to be rejected outright (and never reproduced in better form later), and to the statements of “authorities” who were often people with no training in relevant disciplines. It is clear that those making the recommendations hear from some of their clients (or readers) that they “felt so much better once they gave up dairy (and wheat).” But, I have also become somewhat skeptical about these claims. That is because I have the chance, as director of a two clinics, to go over patient records and talk with patients and observe how often claimed improvements are not matched by actual changes in the reports of symptoms over time. As someone who speaks to practitioners around the country on a daily basis, I have found that when I challenge various claims presented to me, the support for them is usually not there. While I have no doubt (as will be expressed more fully below) that there are many people who have sensitivities to one or more dairy components or products, I find the exaggeration of such problems to be of potential detriment, in some cases more serious than others. Further, I think that this issue is emblematic of others-where bad advice is given on the basis of faulty information passed from one to another without challenge-and is therefore a matter worthy of consideration. The term “dairy” may be used somewhat differently among people commenting on this subject, but the common reference point and standard definition involves milk and products made from milk. The term dairy is usually used in reference to cow milk which, at least in America, comprises the main industry, so that goat and sheep milk and their products may be viewed differently by some; however, a farm devoted to producing goat milk is still a dairy farm. Milk, aside from mother’s breast milk, has been a food for humans for thousands of years. References to milk and its products used as foods have always been favorable, that is, up until the time-relatively recently-that the specific adverse views, as depicted above, were introduced. 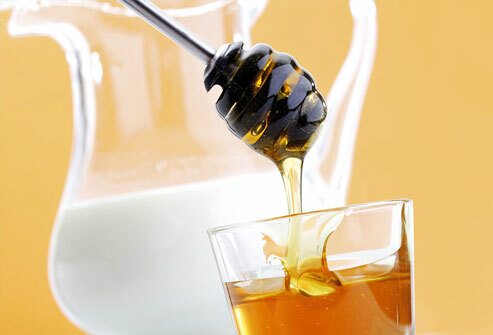 A land “flowing with milk and honey” was a good place, rich in resources, and not one to be avoided. In India, milk was obtained from the most sacred of animals, the cow, and was revered. Indeed, with India’s long history of vegetarian diet, milk products were one of the essential sources or protein and calcium. Vegetarians proclaim the advantages of the various beans (dahl) and rice used in Indian cuisine, which is necessary for getting adequate protein. However, it is yoghurt and other milk products that are usually responsible for elevating the protein and caloric intake of the Indian people to the minimums levels for maintaining health. Bread and cheese formed a staple of European cuisine and milk added to tea or coffee has also been a standard for the diet since those beverages were introduced a few hundred years ago. The argument that might be immediately raised is that milk may have been healthful in ancient times, but modern milk is unhealthy. That complaint doesn’t hold water. Numerous carefully designed studies have indicated that milk consumption in modern times (most people ingesting ordinary milk) reduces the risk of osteoporotic bone fractures experienced by postmenopausal women. More recently it has been suggested (by initial research) that dairy consumption using low fat milk products is associated with less obesity and reduction of hypertension. The vitamin D3 that has been added to milk for decades appears important not only for helping the milk’s calcium enter the bones, but it also has other health benefits. With the increased time spent indoors and with increased use of sun blocks, many people experience deficiencies of this vitamin. To address the desires of people who are worried about their weight and/or a problem of excess blood lipids, milk with its fat content reduced or eliminated has been introduced. For those who experience lactose intolerance, milk without lactose is now available (and, one can purchase capsules of lactase to digest the lactose from meals made with lactose-containing dairy products). Bacteria in yoghurt and cheese can benefit the intestinal flora, and yoghurt consumption has long been suggested as a means of recovering healthy gut flora following a course of antibiotics (yoghurt also has little lactose in it). One can produce a litany of foods that can simply be enjoyed by people because of their inclusion of dairy in their diet. Such enjoyment can have its own health benefits, because of the relaxing nature of a pleasurable meal. Not all enjoyable foods containing dairy are healthy, but it is often the case that the milk component is the healthiest part. Even milk fat is not to be too quickly condemned. Butter, clarified to make ghee, is considered an essential ingredient in numerous Ayurvedic medicines; the butter component butyric acid is an anti-inflammatory for the gastro-intestinal tract. In the initial rush to make a cholesterol free butter substitute, hydrogenated vegetable oils were introduced. Huge amounts were utilized for years before research showed that the trans-fatty acids generated in making the liquid oil solid like butter made them relatively unhealthy products. So, avoiding dairy-derived products does not always bring one to healthier alternatives. There remains a significant debate, in the world of natural food proponents, as to whether soy-based substitutes for milk products are truly healthful (I believe that they are, also when used in moderation). Milk may be combined with food ingredients containing potent antioxidants to produce foods that people are happy to eat, so that they get the benefit of the antioxidants they might otherwise miss. As an example, hot chocolate made with milk is a good means of getting the antioxidant benefits of chocolate without the common additives found in chocolate candies. Cheese sauce added to green vegetables may coax people to eat more of the latter, and thus get the vegetable antioxidants as well as fiber. It is one thing to tell people they should consume more of certain foods (such as green vegetables) and another matter to assure that this recommendation can frequently be fulfilled: dairy products may contribute to success in that area. The fact that some people use dairy products to excess, or use them as part of a diet that is excessive or in other ways unhealthy, should not in any way detract from the beneficial aspects of this food component. One could not properly condemn something because of the adverse consequences of improper use. Individuals may choose-for spiritual, political, or other reasons-to eliminate dairy from their diet, but that is an entirely different matter: the issue here is whether others should be told to do so in order to benefit health. Dairy avoidance may contribute to worsening of lactose intolerance; this condition is reduced by regular consumption of lactose-containing products that stimulate the intestinal production of lactase and growth of lactobacilli. Thus, if the person who has avoided dairy for a time then tries to ingest milk or a product containing lactose, they may get a reaction that they would not have had before. If the person is not regular in taking vitamins and minerals as supplements, you may be depriving them of a major source of vitamin D3 (deficiency can lead to osteoporosis, depression, and increased risk of colon cancer), calcium (deficiency can lead to osteoporosis and several functional disorders), and protein (an especially important concern if the person is also avoiding meat). Strict dairy avoidance contributes to food neuroticism, a major disorder in modern times. Many people become entangled in worries about food to the extent that they become dysfunctional. Avoidance behavior is especially serious, as it can snowball into a fear of so many foods that the person becomes seriously undernourished. The detrimental pattern may start with avoidance of dairy due to the recommendation by a natural health care proponent. The substitute foods may not always be healthy for the person. While soy products are the most common healthful substitutes for dairy products, dairy is not always substituted one for one with a comparable food; instead alternative meals are utilized, which may or may not provide the nutritional benefits needed. The “avoid dairy” approach may drive people to information sources that promote this particular idea based not on sound scientific research and controlled studies, but more on conjecture and emotionally-based opinions. There is no reason to believe that an “avoid dairy” proponent must be knowledgeable or appropriately trained or that such a person is necessarily objective or reliable in their interpretations (regardless of training). Traditional foods often turn out to be healthful and it is the burden of the opponent of traditional foods to convincingly demonstrate their potential harm. When describing the problem that people may have with dairy as an “allergy,” the person doing so may contribute to misinformation about allergies, which is rampant in the field of natural healing. Even those who have milk sensitivities do not necessarily have allergies to milk. Strict dairy avoidance puts people in an awkward social situation, where they are saying no to common food items and inquiring if each item has any dairy in it in order to avoid even trace amounts. If the person cooks for others in their family, they may end up forcing their dairy-free diet onto others. In north China during the Tang period (618-907 A.D.), goat’s milk was widely regarded as a salubrious beverage, of especial value to the kidneys. Po Chu-I stated plainly that nothing could please him more on a cool spring morning than rehmannia [dihuang] taken with milk. I Tsung, who reigned over a disorganized domain in the middle of the ninth century, honored his scholarly advisers with gifts of “silver cakes,” in which milk was an important ingredient. In the south as well, milk was used in the preparation of many popular foods. This seems mostly to have been the milk of the carabao (water buffalo). Sago extracted from the arenga palm taken with milk was a staple that gave the southerners great pleasure. A sweet named “stone honey” made in Sichuan and Chekiang, but also imported from the Iranian lands of the West, was made of milk-especially that of the water buffalo-and sugar. Milk was modified in many ways. It was curdled to make, for instance, ju fu, analogous to bean curd [tofu]. Indeed, much more popular than unaltered milk were a number of fermented or soured derivatives. Three of these in particular, conventionally classified in a hierarchy representing the level at which each was derived from another, were highly valued. This triad appears in literature metaphorically, representing the stages of the development of the soul-especially in Buddhist belief. The most common of them, therefore the lowest member of the triad, was kumiss, usually prepared by heating animal milk in a pan, where it would ferment by the action of lactobacillus. One step higher was su, corresponding to kaymak, or, in our own culture, to clotted or Devonshire cream. It was removed, even rolled, from the top of the kumiss preparation after the latter cooled. It was much used in dishes of high quality. The third, final, and most highly regarded member of the triad was ti’-hu, which strongly resembled our clarified butter. It was a sweet oil made by reducing kaymak over heat, storing it until it coagulated, and then skimming small quantities of the butter-oil from the top. In religious imagery, accordingly, it represented the ultimate development of the Buddha spirit. The rise in popularity today of canned milk or other milk products [in China] shows that the avoidance is due neither to intrinsic dislike nor to any deep-seated opposition or taboo. Recent Chinese statistics indicate that dairy consumption there is growing by 10-20 percent per year. Currently, average per capita dairy consumption is about 20 kg per year, while in developed countries it is about 100 kg per year. Milk and yoghurt are the primary driving force of this growth. Anderson does point out that the Chinese are often averse to cheese, except that of the most mild flavor and fragrance, like American cheese. Of course, Americans are averse to many of the fermented Asian foods in like manner; consider the Japanese fermented soybean product called natto, which few Westerners tolerate. Anderson also points out that East Asians are often affected by lactose intolerance as adults (prevalence is estimated as high as 90%), which may deter them from using milk products and may be part of the reason that some East Asian health specialists warn people away from consuming dairy products. However, it is unclear to what extent the sensitivity is due to genetics or due to a history of eating foods without dairy, with little lactobacilli in the intestines. By contrast, relatively few people in northern regions (e.g., Europe, northern states in the U.S., Canada) suffer from this problem, possibly because of frequent ingestion of dairy products throughout their lives. Nature: sweet in flavor, and neutral in nature, acting on the channels of the heart, lung, and stomach. Action and Uses: treating consumptive disease, reinforcing the lung and stomach, promoting the production of body fluid and moistening the intestinal tract. It is used to treat debility and internal injury caused by overstrain, regurgitation, dysphagia, diabetes, and constipation. It is truly disheartening to see how writers of books and articles on Chinese medicine feel compelled to skip over this positive view of milk and insert the prejudice instilled by an ever increasing group of Westerners. A perfect example is the book Chinese Dietary Therapy (4), in which Gordon Peck is a subject editor and prepared the preface. In the main text of the book (edited by Liu Jilin and other Chinese authors and originally published in Chinese), there are monographs on a wide variety of foods, and milk barely enters the listing; there is a brief mention of one paragraph (with positive attributes like those listed in Chinese Medicated Diet) for sheep milk. But, in the introduction, there is a large section, nearly three pages, on why milk is not good for you. First, the Chinese positive attitude towards milk is quickly written off: “Whole unpasteurized milk from cows reared naturally is a very concentrated food capable of forming a substantial calf very quickly. As such, it is easy to see how Chinese medicine came to view its main therapeutic uses.” It must be pointed out that if we were to be dismissive in this manner with other foods and with herbs used in China, we would also write off most Chinese claims to their benefits. But, the author has a motive, and that is to convey his deep-seated prejudice against dairy products attained from the natural health field. In the criticism against dairy, he first claims that there are a growing number of “milk-related diseases,” citing old and third-hand sources, and lists chronic rhinitis, rheumatoid arthritis, ulcerative colitis, and even delinquency. All this is self-evident, he suggests: “if we consider phlegm, damp, and deficient spleen qi or yang as the possible results of high intake [of dairy], we can usually understand the connection.” While he presents this information in a section titled “overconsumption,” practitioners have adopted the claims that dairy products cause phlegm and damp and inhibit spleen qi and yang as a general rule, ignoring the quantities involved. In the Chinese system, overconsumption of anything, including meals that are too big yet comprised of small amounts of many individual foods, causes phlegm and damp and inhibits the spleen qi and yang, so such a complaint about dairy products is no more than “milking” the Chinese terminology for the purpose of joining an attack against dairy. Then, citing a writer on naturopathy from a comment made nearly 40 years ago, he points out that milk today should be avoided. He notes that “many well-respected Western practitioners have documented the effects of treated [pasteurized] versus untreated milk.” Unfortunately, such documentation has not been submitted to critical review and published, but is either simply proclaimed or written up for publication where it is not first screened. Then, he attacks homogenization, relaying the entirely made-up claim that: “As the fat particles are smaller, they are more readily absorbed in the small intestine and may thus bypass a natural barrier in sensitive individuals.” Such pseudoscientific explanations cannot be challenged by his readers, because the book is directed to an audience that is not trained in physiology. None of this warning against dairy was needed for the book. Cow milk consists predominantly of water (86%), with protein (3.1-3.9%; primarily caseins, with the remainder of proteins collectively called whey), fat (3.5-5.5%; mainly triglycerides), sugar (4.7-5.1%, almost entirely comprised of lactose), and minerals (1%, mainly calcium and phosphorus). Generally, these ingredients in the watery medium are readily digested (whether or not the milk is pasteurized or homogenized). Caseins are highly digestible in the intestine and are a high quality source of amino acids. Most whey proteins are relatively less digestible in the intestine, although all of them are digested to some degree. Despite their lower digestibility, many people recommend protein supplements in the form of whey powder. Lactose appears to enhance the absorption of several minerals, including calcium, magnesium, and zinc. It also promotes the growth of Bifidobacterium and other favorable gut bacteria, and is a major source of galactose, which is an essential nutrient for the formation of cerebral galactolipids. Some people have limited ability to digest lactose (see below); the undigested lactose can lead to bloating, gas, and diarrhea if enough is consumed at one time. True allergies are almost always reactions to proteins. When substantial whey protein is not digested fully in the intestine, some of the intact protein may stimulate a localized intestinal effect or even a systemic immune response. This is sometimes referred to as milk protein allergy and may be caused by a particular protein: ß-lactoglobulin. Milk allergy primarily shows up in infants, and this may arise when switching too soon from breast milk to cow milk, while the baby’s digestive and immune systems are still in critical stage of development. The estimated incidence rate of milk allergy in children is about 3.5%. The allergic potential of milk declines with maturity, so that true milk allergies are rare in adults. It has been suggested recently that milk proteins may have some involvement in early onset diabetes (which also involves genetic and other factors); however, follow-up studies have not been able to support this hypothesis. For most of those affected, milk allergies produce minor to moderate symptoms, not severe ones as have been encountered with nut and shellfish allergies. Lactose intolerance increases with aging and this is because the enzyme is primarily found in the tips of the intestinal villi, which may become damaged as a result of chronic intestinal diseases; temporary lactose intolerance may occur following a bout of gastroenteritis. The estimated incidence of lactose intolerance in the American population is as high as 11-22% of adults. Absence of sufficient lactase results in undigested lactose passing into the intestines where it becomes a food source for bacteria, the primary cause of the reactions (e.g., gas and bloating). If very large amounts of lactose are consumed, the high content in the intestines can also contribute to loose stool or diarrhea. However, these intestinal reactions are generally the entire spectrum of lactose reactions, so lactose intolerance is not a usual source of other symptoms or diseases a person may be experiencing. Consuming small amounts of dairy products will usually not cause any problems for those with “lactose intolerance.” Even with significant lactase deficiency, approximately 8 ounces of milk per day (which provides about 12 g lactose) is rarely enough to cause symptoms (symptoms may appear if this amount is consumed rapidly at one sitting). By reading the literature from alternative medicine sources, you would expect the incidence of these types of reactions to be far higher than they are, more systemic, and generated by even tiny amounts of dairy, but the claims are not based on reliable data. Lactase deficiency can be improved by dietary manipulation, but avoiding dairy is not the method. If the quantity of lactose is increased slowly over time, lactobacilli are stimulated to grow in the colon. A greater number of lactobacilli allow the lactose to break down into monosaccharides without generating evident symptoms. Although this allows much of the sugar to be absorbed, some of the resulting monosaccharides are still fermented by colonic bacteria; the relative amount of colonic fermentation is decreased. In producing yoghurt, the bacterial culture used to change the milk breaks down most of the lactose and these favorable bacteria are introduced into the intestine (if the yoghurt has live culture), so yoghurt is usually well-tolerated. Bacteria that break down lactose are provided also in capsules (and other forms) as supplements. Lactase can be obtained in capsules and taken with dairy-containing meals. Only a small amount of lactase supplementation is needed in most cases, though one can get capsules with huge amounts of the enzyme. HOW MUCH DAIRY IS TOO MUCH IN THE DIET? There is a point where consumption of any food becomes excessive. Milk-derived products come in many forms, and so can enter the diet frequently. In the absence of a milk protein allergy (which is absent in more than 95% of the population) or lactose intolerance (which is absent in about 80% of the population), the primary concern about ingestion of dairy products surrounds their lipid content (fat). This is an issue primarily for those who have an excess caloric intake and/or who have high lipid intake from other sources as well. Some derivatives of milk, such as cream and butter and the products made from them can contribute substantial amounts of fats, with a high proportion of saturated fats. One cup (8 fluid ounces) of regular milk provides about 8 grams of fat, of which 5 grams are saturated fats. That cup of milk provides 150 calories, of which almost half are calories from fat. Out of a 2,000-2,500 calorie daily diet, with one-quarter to one-third of those calories (about 600-700) derived from fat (as currently considered ideal), a cup of regular milk would not be problematic. In addition, this one cup of milk provides about 8 grams of protein, 270 mg of calcium and 340 mg of potassium. An ounce of cheese provides similar nutrition, except it may have less calcium and considerably less potassium. A cup of milk or an ounce of cheese is counted as a single serving, and it is evident from simple calculations that three servings of dairy (in the form of whole milk products) would fit easily with reasonable limits of calories and fat, while contributing much needed protein and calcium. Thus, a cup of milk, a cup of yoghurt, and a slice of cheese (or its equivalent in various food preparations) would be sensible; these three servings in a day is what the “Dairy Council” (the main proponent organization for dairy products) recommends. The U.S. Department of Agriculture and the Dairy Council are both promoting the use of reduced fat milk products, to be consistent with lowering total intake of calories and fat from the diet. However, if the three serving per day quantity is part of a balanced diet, whole milk and its products should be acceptable. Larger amounts of dairy products in the diet would need to be counterbalanced against other components of the diet (especially meat), since one may reach appropriate levels of fat and protein quite easily when dairy products are included. For persons with lactose sensitivity, the amount of lactose-containing dairy products consumed each meal would have to be regulated more carefully, but would rarely have to be completely eliminated. Concerns have been raised about modern milk, from the ways cows are raised, to the way the milk is processed, to the things that may be added to the cows (e.g., antibiotics, BGH) or the milk products. At this time, there is no viable evidence that the FDA-approved additions are directly harmful to human health and, therefore, claims to the contrary represent speculation. However, a very large organic dairy industry has developed so that people who are concerned about the quality of milk can get a large part of their daily intake of dairy products from those sources, including milk, cheese, butter, and prepared foods. “Raw milk” has been repeatedly attempted as a health product, but the difficulties of avoiding contamination are quite severe. 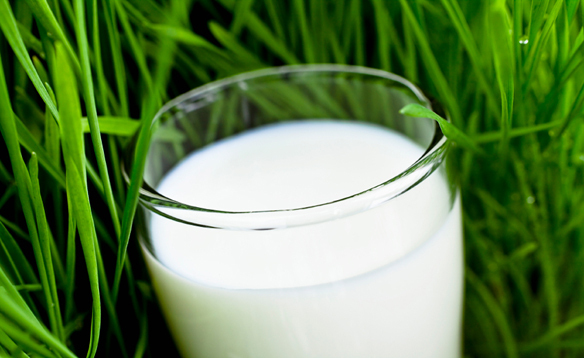 There is no evidence that raw milk is substantially better than pasteurized milk. 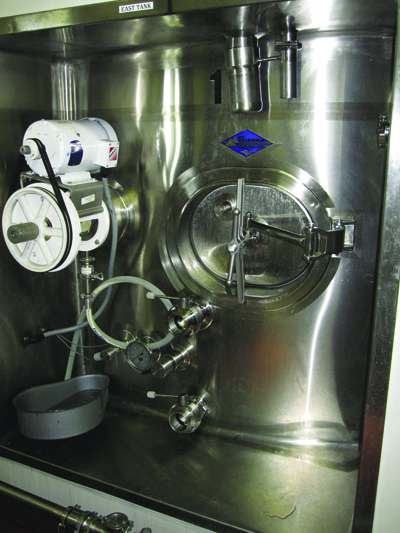 It is worth noting here that practitioners of Chinese medicine frequently cite (often incorrectly) the idea that cooked herbs (decoctions made by boiling herbs for an hour) are superior to the raw materials, and that people should mainly rely on cooked rather than raw foods, yet there still may be a prejudice against the careful and controlled heating of milk during pasteurization to make it safe from pathogenic bacteria. Absence of immediate harmful effects from modern milk would not contradict attempts to assure that cows are well treated, that excessive use of antibiotics are avoided (especially to minimize problems of antibiotic resistance generally, which is a potential serious problem), and that the use of BGH be limited (as part of an effort to restrain unnecessary use of biotechnology). These issues should not be confused with whether it is safe and healthful to consume reasonable amounts of dairy products. There is also good reason to be cautious about some processed foods. A number of these foods, including dairy derivatives, are so much changed from natural foods that their contribution to health is unclear. Avoiding some highly processed food items is not the same as avoiding a major food group, such as ordinary dairy products. Milk from sheep, goats, and other animals is similar to cow milk. There are slight variations in the percentages of constituents. A person with a true allergy to cow milk might not be allergic to milk from another animal. It is certainly the case that milk is produced by mammals specifically for the purposes of nourishing the newly born. 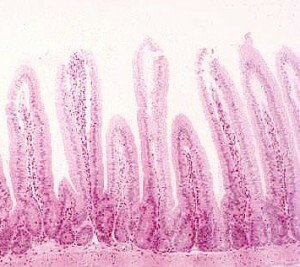 In humans, a high level of lactase is found in infant intestines up to about two years of age, indicating that the first two years are the main ones during which milk is the usual primary food. However, there are no natural laws for what can or can not constitute food after that time-other than limits from evident toxicity, allergy, or sensitivity-despite the attempt of some to promote such things as blood type diets. Rather, there are only those rules which humans have established (exception: religious rules; but these usually do not reflect on human capacity to use the restricted items as food, but rather reflect on adherence to restrictions). Indeed, humans have made virtually everything that is edible into a food at some time or in some culture, and the properties of foods, as viewed by traditional cultures, often contradict one another. 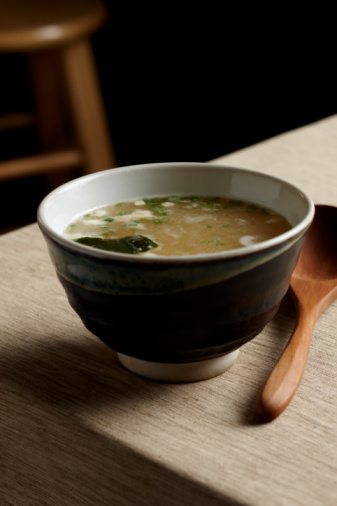 Foods that are considered cooling in one culture may be described as warming in another. As indicated above, dairy products have been a human food since ancient times. In particular, for those who prefer a meat-free diet, two major animal products help assure adequate nutrition: dairy products and eggs. Milk and its derivatives are not solely for babies. In the Chinese system of analysis applied to both dietary and herbal components, substances are indicated as being helpful or counterproductive on the basis of the imbalances of the patient and the nature of the substance. A person can consume foods (and herbs) of virtually any nature without harm so long as the quantity is reasonable. In the case of dairy products, “three servings a day” is a reasonable quantity. 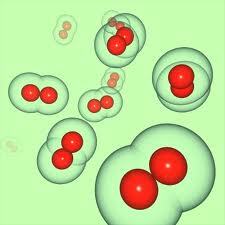 For a person who is unhealthy, both the quantity of a substance and its nature take on more significance. Thus, a person who has excess of phlegm, damp, or the combined “phlegm-damp” syndrome, tends to do better with low overall food intake and ingestion of “drying” substances, until the syndrome is rectified (digestive aids, including enzymes, may be of help as well). Pursuit of a diet designed to correct these problems once they have been rectified may result in another syndrome if the person is not strong and healthy. The primary cause of phlegm and damp accumulation is excess consumption overall. Phlegm and damp accumulation may also occur when the digestive system is weak, in which case food remains “undigested” (incompletely digested). Digestive system weakness may result from excessive worry and anxiety, malnutrition, infections, overeating, overwork, and damage to other organs. The problems of undigested food described in Chinese literature have been for the typical Chinese diet, which in many parts of China has included little or no dairy until recently, so these concepts are separate from any consideration of dairy foods. The foods that are to be reduced in quantity by those who have phlegm and damp accumulation are those that are high in fats and those that are especially sweet. Whole milk is considered somewhat fatty (not as much as typical meats) and is sweet in nature (many nourishing foods are classified as sweet; proteins, fats, and sugars, all have a sweet taste). Thus, milk and diary products are to be used in limited amounts by those with these excess syndromes. This is consistent with the idea that one should not exceed three servings of dairy products per day as part of a balanced diet. Low-fat dairy products would be more acceptable for those with phlegm or damp accumulation. The problems of obesity and high blood lipid levels that have become so prevalent here is depicted in the TCM system as excess of phlegm and damp. The idea of limiting certain foods when a person has phlegm or damp accumulation syndrome does not mean that the foods must be entirely avoided; further, it certainly does not mean those foods are problematic for other people who do not have these syndromes. If milk products are substituted by other foods that ultimately contribute as much (or more) fat or calories, there may be nothing gained. If a person has weakness of the “stomach/spleen” system, milk is not contraindicated. To the contrary, milk is described as useful for “internal injury caused by overstrain,” which often refers to stomach/spleen debility from excessive work or worry. Foods with sweet taste and neutral quality, like milk, are considered acceptable. However, eating ice cream or gulping quantities of refrigerated milk would be considered inappropriate because the physical coldness is somewhat inhibitory (even if temporarily) to the weakened stomach/spleen system. One possible manifestation of stomach/spleen weakness is a disorder of the intestines similar to those arising with lactose intolerance. People with lactose intolerance who do not ingest lactase supplements or do not use lactose-free dairy products, should limit their ingestion of dairy products. People who have damaged intestinal villi from intestinal infections or other disorders, may not only have low levels of lactase, but may also have other problems with intestinal function that make them sensitive to a variety of foods. 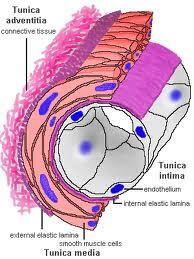 Therapies for aiding the intestines, including consumption of glutamine (an amino acid that promotes healing of intestines) and herbs that tonify the stomach/spleen may be of benefit. Chang KC, Food in Chinese Culture, 1977 Yale University Press, New Haven, CT.
Anderson EN, The Food of China, 1988 Yale University Press, New Haven, CT.
Zhang Enquin (ed. in chief), Chinese Medicated Diet, 1988 Publishing House of Shanghai College of Traditional Chinese Medicine, Shanghai. No one, not even residents of the northernmost villages on Earth, eats an entirely traditional northern diet anymore. Even the groups we came to know as Eskimo—which include the Inupiat and the Yupiks of Alaska, the Canadian Inuit and Inuvialuit, Inuit Greenlanders, and the Siberian Yupiks—have probably seen more changes in their diet in a lifetime than their ancestors did over thousands of years. The closer people live to towns and the more access they have to stores and cash-paying jobs, the more likely they are to have westernized their eating.And with westernization, at least on the North American continent, comes processed foods and cheap carbohydrates—Crisco, Tang, soda, cookies, chips, pizza, fries. “The young and urbanized,” says Harriet Kuhnlein, director of the Centre for Indigenous Peoples’ Nutrition and Environment at McGill University in Montreal, “are increasingly into fast food.” So much so that type 2 diabetes, obesity, and other diseases of Western civilization are becoming causes for concern there too. Today, when diet books top the best-seller list and nobody seems sure of what to eat to stay healthy, it’s surprising to learn how well the Eskimo did on a high-protein, high-fat diet. Shaped by glacial temperatures, stark landscapes, and protracted winters, the traditional Eskimo diet had little in the way of plant food, no agricultural or dairy products, and was unusually low in carbohydrates. Mostly people subsisted on what they hunted and fished. Inland dwellers took advantage of caribou feeding on tundra mosses, lichens, and plants too tough for humans to stomach (though predigested vegetation in the animals’ paunches became dinner as well). Coastal people exploited the sea. 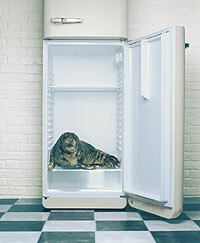 The main nutritional challenge was avoiding starvation in late winter if primary meat sources became too scarce or lean. These foods hardly make up the “balanced” diet most of us grew up with, and they look nothing like the mix of grains, fruits, vegetables, meat, eggs, and dairy we’re accustomed to seeing in conventional food pyramid diagrams. How could such a diet possibly be adequate? How did people get along on little else but fat and animal protein? What the diet of the Far North illustrates, says Harold Draper, a biochemist and expert in Eskimo nutrition, is that there are no essential foods—only essential nutrients. And humans can get those nutrients from diverse and eye-opening sources. One might, for instance, imagine gross vitamin deficiencies arising from a diet with scarcely any fruits and vegetables. What furnishes vitamin A, vital for eyes and bones? We derive much of ours from colorful plant foods, constructing it from pigmented plant precursors called carotenoids (as in carrots). But vitamin A, which is oil soluble, is also plentiful in the oils of cold-water fishes and sea mammals, as well as in the animals’ livers, where fat is processed. These dietary staples also provide vitamin D, another oil-soluble vitamin needed for bones. Those of us living in temperate and tropical climates, on the other hand, usually make vitamin D indirectly by exposing skin to strong sun—hardly an option in the Arctic winter—and by consuming fortified cow’s milk, to which the indigenous northern groups had little access until recent decades and often don’t tolerate all that well.